Lakshmi is the Vedic deity epitomizing wealth, auspiciousness, fortune and prosperity. She is the divine consort of Lord Vishnu. All the auspicious elements of nature are associated with Her. In the Bhagavad Purana, she is described to be born from the Churning of Milk Ocean, the Samudra Manthan. She has always been associated with Lord Vishnu. When Lord Vishnu aincarnated as Lord Rama, She also appeared as Sita. In the Atharva Veda (7:155) it is mentioned that a thousand Lakshmis are born with the birth of a virtuous and auspicious being. The Sanskrit word "Lakshya" meaning "aim" also derives from"Lakshmi". The purpose (aim) of life is to attain both, material prosperity and spiritual enlightenment. And Goddess Lakshmi when pleased with the purity and devotion of Her worshippers bestows upon them both material and spiritual prosperity. It is given in the Shatapatha Brahmana (a Vedic treatise on the preparations for rites and rituals) that the original form of Lakshmi is Sri who is the auspicious energy (consort) of Lord Vishnu. It is from Sri that Gods derive their powers to execute their aims (Lakshya) in the matter of the cosmic maintenance. Therefore the purpose (Lakshya) of human birth is also associated with Sri or Lakshmi. In a deeper sense, one"s ultimate aim in Life is to realize one's own divinity but only after one has realized that one is abundant and supported; full of talents and creativity; has power and strength; has knowledge and wisdom; has luck and success and has a role play to perform on one's journey in Life. It is the Divine energy of Goddess Lakshmi that guides you to realize all aspects of your Life that is Moral Duty (Dharma), Desires (Kama), Prosperity (Arth) and Liberation (Moksha) with Sattvic qualities. Along with Goddess Lakshmi, Lord Ganesha and Goddess Saraswati are also worshipped together. 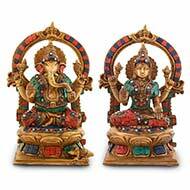 These deities hold special significance when it comes to success, knowledge and abundance. By why are they worshipped together? "˜Ganesha" is made of words gana (group) and ish (control); the one who controls a group (of beings). Ishvara means one who is the master and guides the others. Ganesha is also Ganapati, "pati" means leader. Just like a father whose familial responsibility is to help his children progress, removing any hurdles that check their progress, similarly, Lord Ganesh who is the Lord of people (gana) removes various hurdles so that his devotees progress towards their aim (Lakshya) which is material prosperity and spiritual success. However, any success material or spiritual is incomplete without the touch of knowledge and wisdom. And that's where the role of Goddess Saraswati comes into picture. In the Vedas, Goddess Saraswati is known as the Goddess of knowledge, arts, wisdom and learning. She is described in the Rig Veda (2.41.16) as the best of divine mothers अम्बितमे नदीतमे देवितमे सरस्वति | ambitame naditame devitame sarasvati; O best of divine mothers, we stand insignificant in front of You. O Mother, please bless us! "Sarasvati" is made of surasa-vati; it means the one who with plenty of water. Just like dirt and filth in a river get swept away with the flow of waters, ignorance in the mind gets swept away with knowledge and wisdom represented by Goddess Saraswati. Therefore to attain the goals of human Life represented by Moral Duty (Dharma), Prosperity (Arth), Desires (Kama) and Moksha (Liberation) one needs blessing from Lord Ganesha who removes obstacles by imparting intelligence and strength, Goddess Lakshmi who bestows auspiciousness, wealth, awareness of life purpose and fulfillment of desires and Goddess Saraswati who blesses with wisdom and knowledge. Therefore we worship these three deities together. You will never find any Vedic ritual (Hindu puja) wherein Lord Ganesh, Goddess Lakshmi and Goddess Saraswati are not worshipped. At the ritual altar, they are considered to be the fountainhead of auspiciousness, prosperity and wisdom.That is why we worship these deities together. Goddess Lakshmi symbolizes Sattvic Principles. She is shown draped in a red sari, adorned with gold ornaments, with four hands, seated or standing on a full bloomed lotus flower and flanked by elephants. 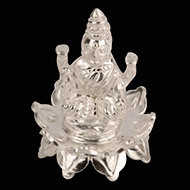 One of her hands holds a lotus bud which signifies beauty, purity and fertility. Her four hands signify the four goals of Human life that is dharma or righteousness, Kama or desires, artha or wealth, and moksha or liberation from the cycle of birth and death. Cascades of gold coins flowing from one of hands symbolize material wealth. Red colour of the sari symbolizes activity and the golden lining and gold ornaments indicates prosperity. Lakshmi is the active energy of Vishnu, and also appears as Lakshmi-Narayan. Lakshmi sitting atop a lotus flower that blossom in murky waters signifies that just like a lotus flower does not contact mud and lose its constitutional form (dewy and fresh), similarly a self-realized person has to rise above negativities and vices that seek to pull you down, with higher qualities of purity and serenity. Elephants are known for their brilliant memories and elephants showering water are called the Airaavats. The elephants watering Her Resplendent Self denote the washing away of memories and sins and being completely pure in the present moment. This denotes that ceaseless effort, in accordance with one's dharma and governed by wisdom and purity, leads to both material and spiritual prosperity. Goddess Lakshmi denotes that Shakti or energy of the Divine that assist you in achieving your pure desires, which are without any greed, or reference of past and future, and completely rooted in the present moment. Lakshmi is called as the Goddess of Fortune and Wealth and represents the beautiful and bountiful aspect of nature. She comes for the fulfillment of pure desires (lakshya/aim) of the seeker. She however rides an owl. Vahanas or vehicles of Gods and Goddess represent the vices that one needs to ride over or curb to attain the qualities and be blessed by the energies of that particular Deity. Alakshmi is all that that does not represent the Sattvic qualities of Lakshmi. According to mythology, some say while Lakshmi emerged along with Amrita, the nectar of immortality, when the Gods were churning the Ocean of Milk; Alakshmi emerged with Halahal, the dreaded poison with the power to destroy the world. Alakshmi also represents Daridra, poverty personified; Kalaha, strife personified; Kalikanni, quarrel personified; Nritti, goddess of decay. In Vishnu mythology, Lakshmi adores dharma (acts born of empathy) while Alakshmi adores adharma (acts born of exploitation). Thus Lakshmi and Alakshmi are two halves of a complete whole; Lakshmi is the fruit that is savored while Alakshmi is the waste that is discarded. The two exist as a whole; without either there is neither. One needs to ride over all that is Alakshmi, to be able to attain Lakshmi. Owls are solitary creatures that sleep all day and prowl at night. Because of their nocturnal activity and screeching call, they have been associated with bad luck and death, and therefore represent symbolically Alakshmi, that is the goddess of strife and misfortune. Owl is a bird that sleeps during the day when there is light all around. This partial blindness is symbolic of darkness of ignorance. The temptations of pleasure, the mistrust, the selfishness and greed etc. all represent ignorance. Goddess Lakshmi therefore rides over the owl and symbolically seeks to open the eyes to the light of wisdom residing within us. Diwali: Goddess Lakshmi is reverentially worshipped on the occasion of Diwali, the festival of light. The day when Lord Rama killed Ravana is known as Dusshera or Vijaya Dashami and the day when the Lord returned to Ayodhya is known as Diwali. People of Ayodhya lit up the entire Ayodhya with light (diyas). It is said that when the Lord returned, everything became auspicious. Things become auspicious when the all-auspicious Lakshmi blesses. Along with Rama, Goddess Lakshmi as Sita also accompanied. Wherever Ramachandra resides, the place becomes opulent materially as well as spiritually with the energy of Lakshmi. One who pleases Lord Ramachandra by performing his/her prescribed occupational and familial duties with purity, strength, courage, wisdom and selflessness, Sri Herself bestows everything deserved and desired upon them. Therefore, She is worshipped on Diwali. Varamahalakshmi Vrat: is a popular festival celebrated in South India to please Goddess Lakshmi. "Varalakshmi" is made of "Vara" meaning "boon" and Lakshmi is the goddess of fortune. The one who offers boons or fulfills wishes is called Varalakshmi. On this day people perform Lakshmi Puja and women observe Vara Maha Lakshmi Vrat for the well-being of all the family members, especially husband. 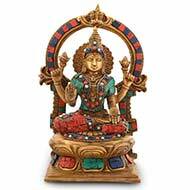 Worshiping Goddess Varalakshmi on this day is equivalent to worshiping Ashtalaksmi â€“ the eight goddesses of Wealth, Earth, Learning, Love, Fame, Peace, Pleasure, and Strength. The Story of how Goddess Lakshmi was born: The birth of Goddess Lakshmi is described in the Bhagavata Purana, the Mahabharata and the Vishnu Purana during Samudra Manthan (Churning of the Ocean). It is one of the most celebrated events in the Vedas. 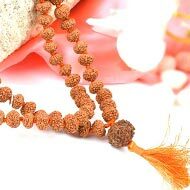 It all started with Durvasa Muni gifting a treasured garland he had received from Shiva to King of Heaven, Indra. Indra received it irreverently and placed it on the trunk of his elephant, who threw it away. This enraged Durvasa Muni for the garland was as divine as the lotus feet of Sri. The Muni cursed Indra and all the Gods of his heaven: All of you Gods become bereft of YOUR opulence! As a result of the curse, the Gods became weak and were consequently defeated by the demons. To regain health they had to drink the nectar of immortality. The nectar of immortality could only be obtained after Churning of the Ocean or Samundra Manthan. On the request of Vishnu, Gods joined hands with the demons in churning the ocean to obtain amrita, elixir or the nectar of immortality. They used Mount Mandara as the churning rod and Vasuki (the lord of all the serpents around the neck of Shiva) became the churning rope. After the churning started, the Mount began to sink. Lord Vishnu in the Kumra (turtle) Avatar supported the sinking Mount. Soon, the churning created heavier tractions and released a number of valuables such as precious gemstones that were accepted by the Gods including Lord Vishnu. Then the deadliest poison halahala emerged only to be consumed by Lord Shiva. Later on, Goddesses and beautiful Apsaras emerged alluring the Gods and the demons. One of the Goddesses was Lakshmi, the Goddess of wealth, opulence and auspiciousness. She accepted Lord Vishnu as Her divine consort. This is how Lakshmi was born. Once Goddess Lakshmi left Lord Vishnu and His residence Vaikuntha out of anger and settled on Earth, hiding herself. She was angry because Lord Vishnu was in deep sleep and during that time, Sage Bhrigu dared to step on Vishnu's chest where she eternally lives. Sage Bhrigu was enraged because Lord Vishnu was in his Yog nidra and ignored the presence of the Sage who wanted an answer to a query. Unable to live without Sri, Lord Vishnu came down to Earth but couldn't find Her. Soon He turned into a forest man and looked for Her in the Tirumala Hills. While finding Sri, He met the most beautiful Padmavati whose father was the King of those hills. Vishnu and Padmavati began to love each other and decided to get married. Her father borrowed money from the treasurer of heaven Kubera on a condition that until the loan was paid off, Lord Vishnu will be unable to return to Vaikuntha. Lord Vishnu in the form of Tirupati Venkateswara dwells in Tirumala. Millions of devotes visit Him and offer donations until the Lord is able to pay off all the dues to Kubera with those donations. The significance of this entire event is that we all live in this illusionary world hankering after sense-gratification which in this story is symbolically represented by the Lord Vishnu's sleeping in yoga nindra. When one's inner Guru or spiritual master strikes with a symbolic kick of awareness, one is awakened to one's real purpose in life. In this story that is represented by Lord Vishnu meeting Padmavati with his eyes open. And the moment the union between Padmavati (Life purpose) and Vishnu (Self) happens Lakshmi Herself arrives followed by Kubera. Therefore when a person drifts away from his true life purpose, the energy of Lakshmi vanishes away. Only when a person is on the path of his true life purpose, does the energy of Lakshmi support you with all the wealth you need to realize your goals. In Vedic astrology, Goddess Lakshmi rules planet Venus (Shukra) that represents opulence, beauty, riches and abundance. She is worshipped on Friday, the day dedicated to Her worship in Hindu Shastras. We need to understand Goddess Lakshmi in some detail. The mystical meaning of the word Lakshmi in Sanskrit is: to know your goal. It comes from the root word laká¹£ (à¤²à¤•à¥à¤·à¥) which means to know and laká¹£a (à¤²à¤•à¥à¤·) which means goal/objective. We can then think of Goddess Lakshmi as that divine energy that helps you understand and reach towards your true goals. Goddess Lakshmi is the eternal consort of Narayan, who represents the supreme state of self â€“realization. Therefore, the primary role of Goddess Lakshmi is only to take the devotee towards the goal of self-realization. She presides at eight aspects, realizations of which take you towards your supreme goal of self-realization. These 8 aspects are your true nature that must be realized. These are prosperity and abundance; nurturing and progeny; health and support; creativity and success; strength and courage; pure knowledge and wisdom and spiritual awakening. There are two ways to worship Goddess Lakshmi; everyday prayers and special puja on occasions such as Dhantares and Diwali. Idols or photos of Lakshmi, Ganesha, and Saraswati. 1. Keep a piece of new red cloth on a raised platform or table. 2. Spread handfuls of grains in the center of the cloth. 3. 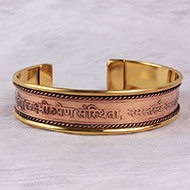 Place a kalasha made of gold, silver, or copper and fill it with the three-quarters of water. Put in it some betel nuts, a marigold flower, a coin, and some rice grains. 4. Put five mango leaves in the kalash in a circular design around the neck of the kalash. 5. Keep a small dish filled with rice grains on the kalasha. Draw a lotus over the rice grains with turmeric powder. 6. Then keep the idol of Goddess Lakshmi on the top of the kalasha and coins around it. 7. Then keep an idol of Lord Ganesha in front of the kalasha on the right hand side facing the south-west and on other side, an idol of Goddess Saraswati. 8. After setting up the things mentioned above, you may keep any items of great value to you, and pen/ink and account books of your profession on the platform. After doing so, light up an oil lamp (diya) and place it in the plate along with some turmeric (haldi) powder, kumkum and rice grains. 10. Now offer the flowers and rice grains to Her after you finish chanting the mantras. 11. 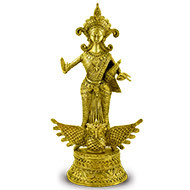 Keep the idol of Lakshmi in a plate for bathing ritual. Bathe Her with water and then by panchamrita. Wash it with water again. Wipe the idol with clean cloth and place it back on the kalash. 12. Now apply Turmeric powder and red vermilion along with rice to the idol. 13. The last step is to offer coconut and keep a beetle nut (supari) on a supari leaf followed by keeping turmeric powder, kumkum and rice over it. Keep some puffed rice, coriander seeds and cumin seeds over the idol. Once this is done, one should make devotional offering of food items such as sweets and fruits and wealth items such as money or any gold item. One can also recite Lakshmi Chalisa during the Puja. This is the standard way of worshiping Goddess Lakshmi on important occasions. 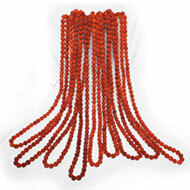 Since She represents divinity and auspiciousness, there are various sacred objects related to Her such as Dhan Akarshan Yantra(Yantra to attract wealth), Lotus seed (mala), Cowry Shells (mala), Chrimi beads (mala), Lakshmi Paduka, Moti Shankha, Ekakshi Nariyal (One-eyed coconut), Diamond & Rose Quartz. 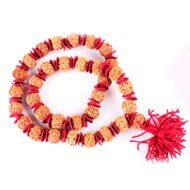 All these sacred items are related to wealth and opulence that originate from Sri. 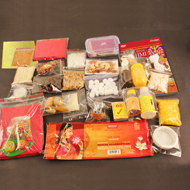 One can use these items and humbly worship Goddess Lakshmi for Her blessings. 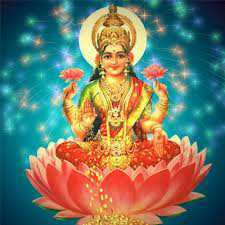 Adi Lakshmi is the original Lakshmi or Sri, wife of Vishnu for spiritual realization. Goddess Lakshmi in Her divine Ashtalakshmi forms is worshipped for support and abundance; nurturing and progeny; creativity and success; power and courage; knowledge and wisdom; and finally, for Moksha or liberation. "O Purusha! The goddesses Hri (modesty) and Sri (Lakshmi, wealth) are Your consorts. Day and night are Your lateral limbs. The stars are Your form. Ashvins are your widely opened (mouth). (O Purusha) fulfill our desire for self-knowledge as also our desire for the enjoyments of this world (like longevity, cows, and horses). Give us all that we need. Om, let there be peace, peace, peace." In the above verse, Goddess Lakshmi is described as the Lordâ€™s divine consort along with Hri (modesty). The devotee asks for fulfillment of desires and material comforts. It is Sri who on the order of Purusha provides all that is needed for fulfillment of desires and material prosperity to the worshipper. She is the source of all auspiciousness, divinity, opulence and enlightenment. To the most wonderful people at Rudra Centre: Namaste! I received the photos yesterday --- how wonderful! I could see how nicely the brahmins were being served and how much prasadam they had to eat!!! All the photos came out very nice, and I am glad that there was some extra laxmi to give to them. Thank you, so very much, for giving me the opportunity to offer some small homage to the brahmins and for letting me see this wonderful sight! I hope for all of the workers there that all of you will have many blessings throughout your lives and that all of you will return home to the spiritual sky. 12 Star Service, I would like to thank the entire team at Rudra Centre for their highest standard of professionalism and customer service.I received my parcel which was delivered to the end of the world \"New Zealand\" in four days.Everything was packed with great care and effort. Wore the MahaLaxmi Kavach and the very second day was told that I got a bonus! !And coming from a doctor hence a very rationale and scientific man,this was beyond coincidence!Kudos to all you wonderful people.